If we have seem to have a lot of pictures of cute cats napping, that's because we have cute cats who nap a lot. Case in point, Billy sleeping on our cradle tower in my office. 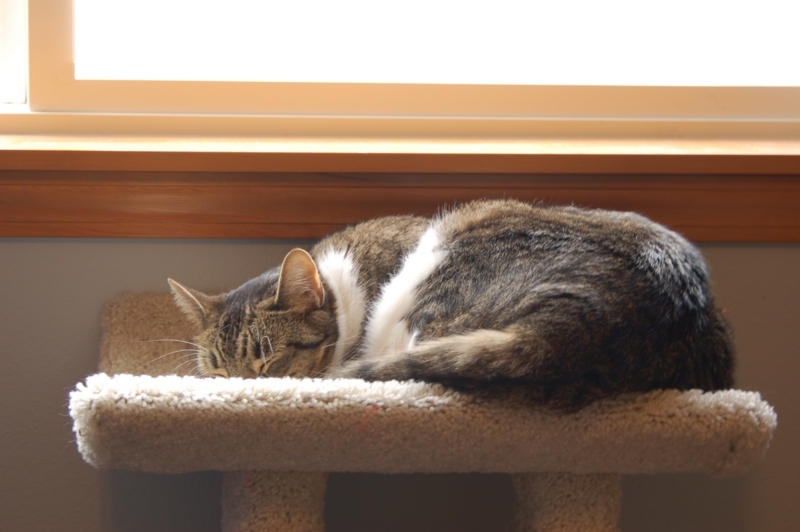 If you think we have too many sleeping cat photos, you may need to find a different blog to read. The Daily Stench: Who Done It And Why?